This will be a joint crisis committee, with one side representing Great Britain and the other representing France. The year is 1754, and tensions between British Nova Scotia and French Acadia are high, with both colonial powers vying for control of the contested Ohio Valley territory amidst the backdrop of a continent split between empires. Following the breakup of the Covenant Chain in 1753 and the consequent fallout with the Iroquois Confederacy, British control of North American territory is precarious, and failure in the New World may spell disaster for the authority of the British Crown over its inhabitants across the empire. For New France, the threat of the British Empire’s military prowess, substantially larger settler population, and strategic expansion northwards, looms large. Losing Nova Scotia to Britain was a military failure that the French Empire cannot afford to repeat, and both colonial powers must balance maintaining control over existing territory, expanding into strategically important areas, and cooperating with native confederacies, to ensure that their empires do not fall prey to internal and external threats. When a French Canadian commanding military officer is assassinated in May 1754, the tensions between the two forces erupt, leading to the start of a battle that is sure to be long, bloody, and crucial to the futures of the two largest empires in the world and the native inhabitants of the land they struggle to command. 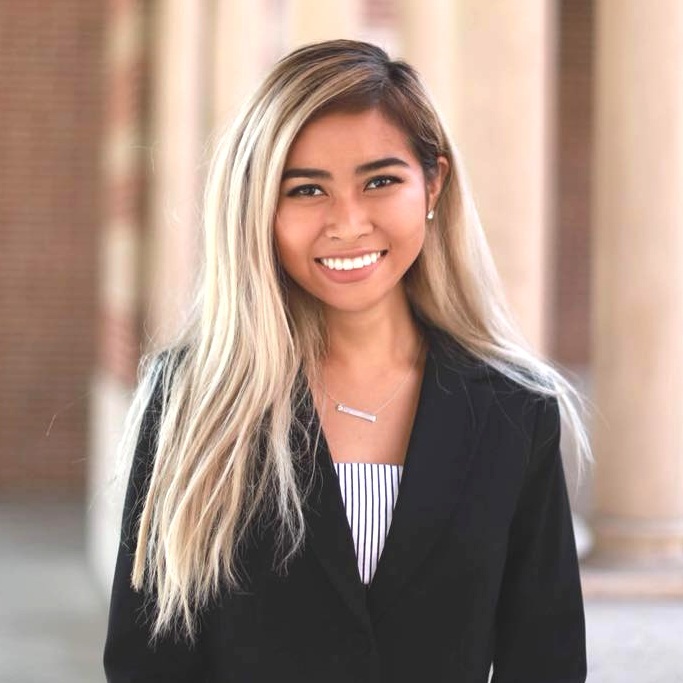 Mia is a junior at USC double majoring in Law, History, and Culture in the Dornsife College of Arts, Letters and Sciences and Communication in the Annenberg School for Communication and Journalism. She is from California coming from the San Fernando Valley. She has been doing Model United Nations since she was in high school and joined the MUNSC team Fall 2018. She co-chaired TrojanMUN's Specialized GA committee last year and is looking forward to chairing again this year. She also chaired our high school conference, SCMUN's, DISEC committee. Outside of her participation in Model United Nations, she is on Xpressions Dance Company, a student-run dance company on campus and on the recruitment team for her sorority, Gamma Phi Beta. If you don't catch her on campus she is probably at Point Dume in Malibu or eating sushi or ice cream somewhere in LA. She is as excited for TrojanMUN 2019 as she was anticipating the last season of Game of Thrones. Mia can't wait to meet all of you! Fight on! Jacob Lind is currently a senior majoring in English Literature and History. He was born in Long Island, New York and raised in Los Angeles. He was a staffer for the Joint Crisis Committee at TrojanMUN 2017, the Crisis Director for the UN Security Council at SCMUN 2018, and the Coordinating Crisis Director for the JCC at TrojanMUN 2018. He has spent the last semester studying abroad in England, where he got to watch his beloved Liverpool FC and eat plenty of scones. He's looking forward to running another exciting and unique JCC! Cookie is a senior studying International Relations Global Business with a concentration in finance and minoring in Risk Management. This will be her second TrojanMUN, and her second year ever doing Model UN. Previously, Cookie worked as an Assistant Crisis Director for the Crisis Committee at 2018 TrojanMUN and became the Deputy Chair at USC's 2019 high school conference, SCMUN. Cookie has taken a total of four and a half years of the French language and literature. Her interests in the country has prompted her to chair this Joint Crisis Committee where she can put her passion to work. Outside of Model UN, Cookie enjoys online shopping, trying out all the food that LA and the West Coast has to offer, and chilling with good friends over brunch. Cookie is very excited to once again contribute to this amazing conference. Chris is a sophomore studying Economics with minors in Business Finance and Music Industry. This will be his second TrojanMUN, and fifth year doing MUN between high school in college. Previously an Assistant Crisis Director in TrojanMUN's JCC, Chris can't wait to work harder on this year's JCC, his favorite committee type. He also worked as a Chair for the JCC: Italian Wars at USC's high school conference, SCMUN. Outside of MUN, Chris listens to as much music as possible and dabbles in creative writing. He's beyond excited to make TrojanMUN's JCC even better than last year's. Shwetha is a sophomore studying International Relations and the Global Economy with a minor in Behavioral Economics. This will be her second TrojanMUN, and her fourth year being involved in Model UN. Previously, Shwetha served as an Assistant Crisis Director for the JCC in TrojanMUN 2018 and Co-Chair at SCMUN for the Commission on Science and Technology for Development. She also served as the Director of Finance for MUNSC this past spring semester. Apart from Model UN, Shwetha works for the Undergraduate Student Government and writes for the Daily Trojan. In her free time, she loves to dance and explore the beautiful city of LA with her friends (particularly the beaches and hidden food gems). She is excited to expand TrojanMUN 2019 and make this conference one for the books!